Early in 1986, Dodger area scout Bob Bishop drove to the campus of UCLA to watch the Bruins begin their baseball season with an intrasquad game. Bishop noticed a freshman third baseman, a “walk-on” player without an athletic scholarship. 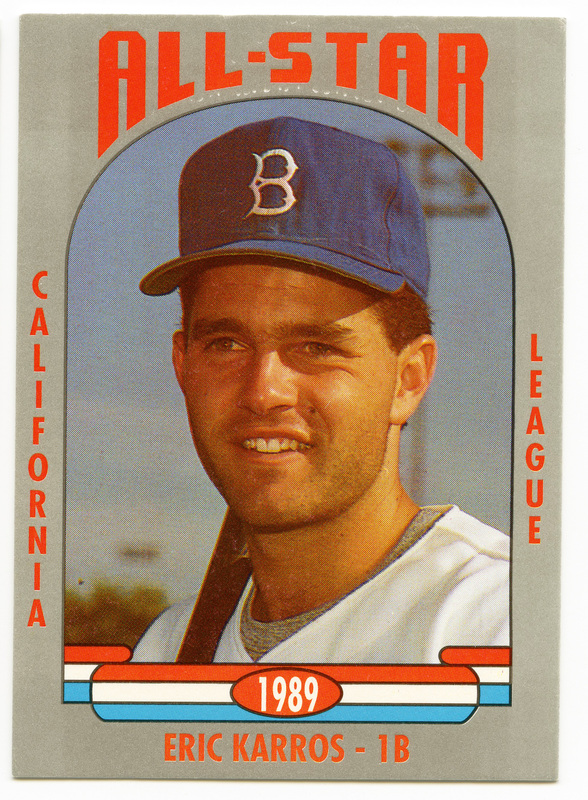 Two years later, the Dodgers selected Eric Karros in the sixth round of the June 1988 First-Year Player Draft. Karros switched to first base during his UCLA career and with the Dodgers his stock gradually rose within the minor league organization. Karros made his Major League debut as a September call-up in 1991. His first assignment was pinch-running for Mike Sharperson during a game at Dodger Stadium against the Chicago Cubs. He notched his first hit against Cincinnati’s Ted Power on September 16. Karros reported to spring training in 1992 as a third-string first baseman behind free-agent acquisition Todd Benzinger and Kal Daniels, an outfielder looking to switch positions after the Dodgers traded for outfielder Eric Davis. In his first at-bat of the 1992 season on April 9, Karros hit his first home run, a two-run shot off left-hander Craig Lefferts. Karros was stuck in a three-player platoon until he won the job on May 23 with a walk-off, three-run home run as a pinch-hitter against the Pirates at Dodger Stadium. Karros started the final 124 games of the season and won N.L. Rookie of the Year honors with 20 home runs and 88 RBI in 149 games. During his tenure through 2002, Karros became the L.A. all-time franchise leader with 270 home runs.